Thomas C. Settles, III is the Senior Pastor of Calvary Bible Church. He was born and raised in Chattanooga, TN and surrendered his life to Christ as a 15-year-old. At age 20, he committed to full-time Christian ministry during his sophomore year at Morehouse College. While a student at Morehouse College, Thomas played football, achieved the Dean’s List, and served as a Bonner Scholar, E. B. Williams Honoree, President of Campus Outreach Ministries, and Student Congress Representative. Upon graduating from Morehouse in 2003, Thomas enrolled at Beeson Divinity School of Samford University and received his Masters of Divinity. Thomas has a tremendous love for discipleship through local church and is excited about equipping believers to go outside of the four walls of the church to do the work of the ministry. In 2009, Thomas married the former, Avita Fannin. Thomas considers Avita to be his “co-laborer for life” because she serves such an essential role in his ministry. Her heart for Christ, love and support for Thomas, and commitment to her family and the local church inspire him to continue serving faithfully in ministry. Shaun Gonzalez surrendered his life to Christ in September 1999. Shaun and his wife Georganne, who both work for the University of Georgia, made Athens their home in 2006. They have two beautiful, energetic children, Shaunice and SJ. 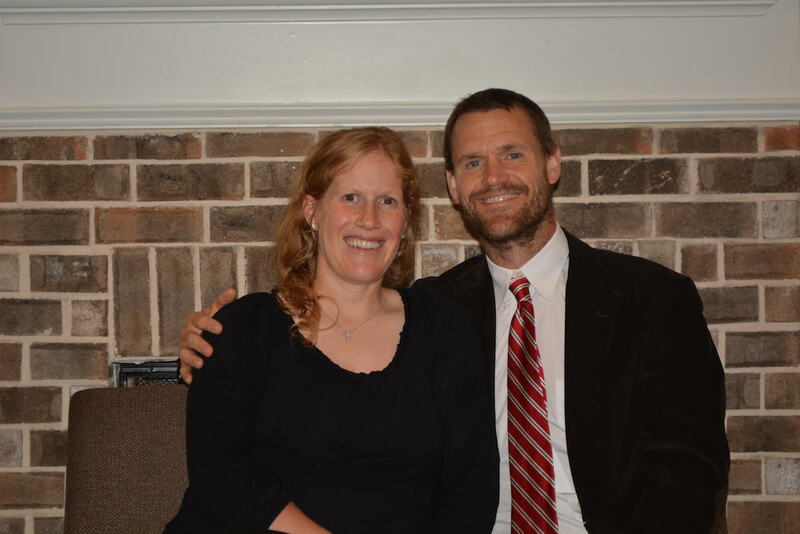 Shaun and Georganne have a fondness for fellowship, discipleship, mentoring, and lending a hand to those in need. Shaun is also the director of Calvary’s H.O.P.E. (Helping Others Pursue Excellence) Mentoring Program for youth. Andy Johnston and his wife Lori have been attending Calvary Bible since 2012. Andy and Lori, both UGA graduates, are successful freelance journalists who have written for numerous major magazines and newspapers in their careers. They also have one son named Ty. At Calvary, Andy is in charge of the First Impressions volunteer team and frequently writes for Calvary’s various publications. Lori also serves as a member of Calvary’s worship band. Jake Parham and his wife Katherine both grew up in the Athens area and have been married for 8 years. They have three children, Asher, Mary Clair, and Harris. Jake considers it a true privilege to be a part of Calvary Bible Church and to get to serve in the role of deacon. Katherine also serves as a member of Calvary’s worship band. Toby Vinson is originally from Dillard, Georgia, up in the far north Georgia mountains. Toby and his wife Kris moved to Athens in 1984 and have faithfully served in Athens churches since then. Toby and Kris have one daughter, Lindsey, who is currently a student at UGA. Aaron Cavin is originally from McDonough, GA, graduated from UGA in 2005, and is now a teacher and coach at Clarke Central High School. He and his wife of Lindsey, have two children, Micah and Ivy. Aaron enjoys snow-skiing, jogging, and playing football.